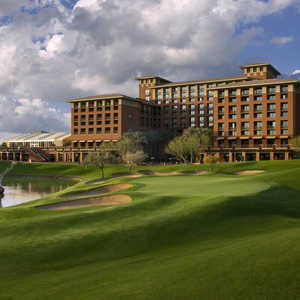 Although Kierland Golf Club is located in heart of Scottsdale, it has the ideal desert landscape for a round of golf. The club offers 27 holes that are nearly covered in sand with more than 300 bunkers. In addition to being plentiful, the bunkers are steep as well. The nines are played in three different 18-hole combinations. 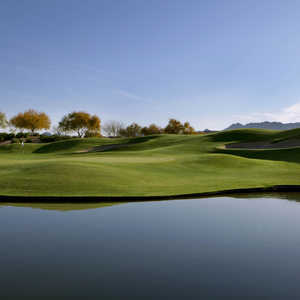 The Ironwood/Acacia Course combines the most player-friendly of the nines, the Ironwood, and the club's signature nine. 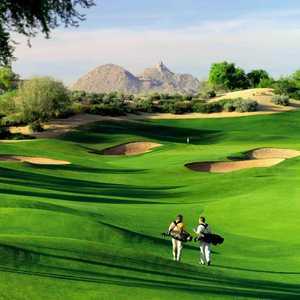 The Ironwoods provides a nice warm-up for the Acacia nine's notorious par-4 seventh hole. 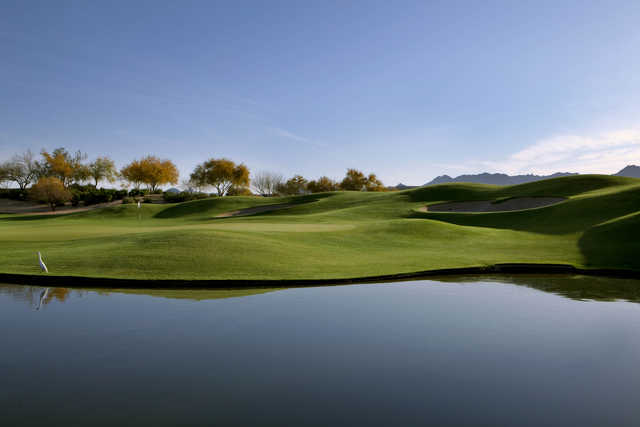 It may only be 374 yards, but it is the most photographed hole at Kierland Golf Club for a reason. There are 14 bunkers guarding this hole but those are nothing compared to the 8-foot high trap hiding behind the green.